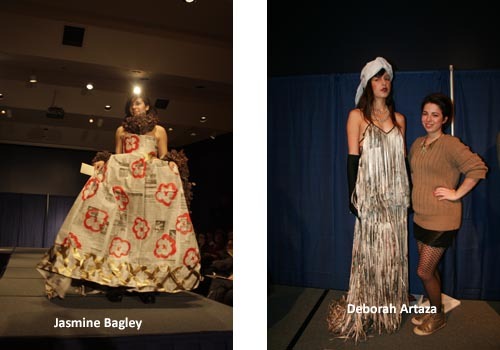 PHILADELPHIA, Oct 6, 2011/ — PaPer View was the theme for Moore’s 2011 Jumpstart Fashion Show, held on October 4, 2011 at the College. Traditionally the first fashion show of the new school year, junior and senior fashion design students had to devise, design and showcase a garment based on a theme in one month’s time. In keeping with the theme of PaPer View, students created their own garments out of paper products such as newspaper, gift wrap, tissue paper, drawing paper and more. The garments were designed to reflect a historical period in time. This year, Amber Callahan won Best historical inspiration for garment, made of plain newsprint and gift wrap. 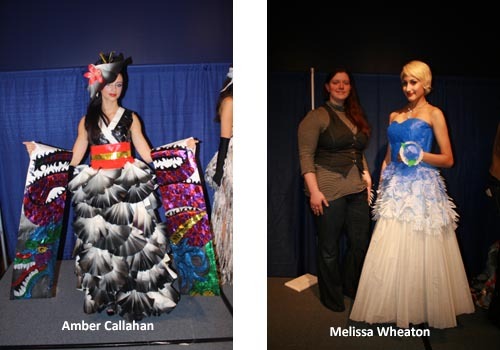 Melissa Wheaton is Honorable Mention, Best or Most Creative Use of Paper, made of plain drawing paper. Judges for this year’s Jumpstart fashion show included Kaytie Johnson, Director of the Galleries at Moore; Ardia Dayton, owner, president, Provost Designs and Character Translations; Arte Verbrugge, past creative director, North Light Community Center; and Elissa Bloom, executive director, Philadelphia Fashion Incubator at Macy’s.